Prawn farm energy audits and five star ratings. 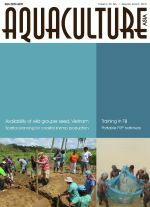 Development of freshwater fish farming and poverty alleviation: A case study from Bangladesh. Conservation of endangered fish stocks through artificial propagation and larval rearing technique in West Bengal, India. Genes and Fish: Supply of good quality fish seed for sustainable aquaculture. Farmers as Scientists: Sewage-fed aquaculture systems of Kolkata: A century old innovation of farmers. When policy makers begin hearing voices. Fish farming in rice environments of north eastern India. 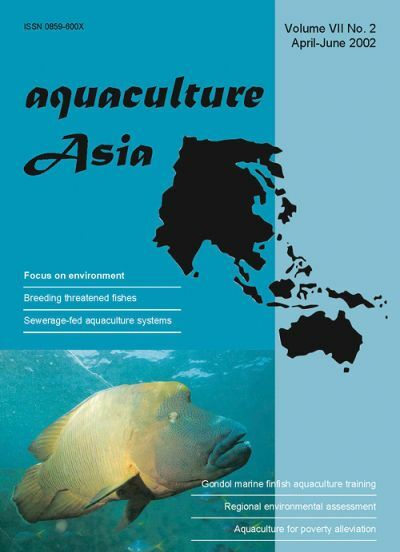 Peter Edwards writes on rural aquaculture: Aquaculture for poverty alleviation and food security. Aquaculture Fundamentals: The use of lime, gypsum, alum and potassium permanganate in water quality management. The utilizations of heterosis in common carp in China. Dong Z.J. and Yuan X.H. Progress of fish gene technology research in China. Seed production of Magur Clarias batrachus using a rural model portable hatchery in Assam, India ? A farmer proven technology. Domestication of tiger prawn gets the thumbs up. A regional approach to assessing organic waste production by low salinity shrimp farms. Advice on Aquatic Animal Health Care: Visit to intensive vannemei farms in Peru.